In ancient India, schools were in the form of gurukul. Gurukuls were traditional residential schools where the students acquired virtues of life and gave up on the vices. This system underwent a lot of changes from the Mughal period to the British rule. British rule swept in the system of modern schooling in India introducing calendar, syllabus and proper curriculum. Today, we again have reached a juncture where transforming the education system is being thought of. Virtual learning system (VLS) is an e-learning education system based on the web. It models around providing virtual access to classes. Virtual learning can take place synchronously or asynchronously. In synchronous systems, participants meet in “real time” and teachers conduct live classes in virtual classrooms. Students can communicate through a microphone or by writing on the board. In asynchronous learning, which is sometimes called “self-paced” learning, students are expected to complete lessons and assignments independently through the system. Students are the primary stakeholder involved in this alteration. Virtual learning systems have a technology based approach. Hence, a reservation about it being more effective than the traditional system of teaching remains. Can it completely substitute the teacher-student environment? Answer lies in the perspective of the inquirer. This opportunity is a bank for unlimited information and knowledge. Satya Nadella, the new CEO of Microsoft claims that in the next 20 years every human activity will be digitised. Observing such a future, it becomes imperative to involve technology into the schooling system. A fly on the wall can state an accurate cost benefit analysis. Students, the most volatile segment, have a lot to gain and lose. They gain unimaginable exposure of technology. That is very crucial for them to grow in this era. They develop skills of self regulation and self analysis, thereby adding on to their assets. They lose out on social interaction, traditional learning and maybe, focus. But, is it really the trade off between computers and humans? Or is it just about the quality of the intrinsic effectiveness. The social context in which the interaction occurs has a strong impact on a child’s psychology. Teachers are one of the most influential interactions that a student has in the initial years. This brings us to the second stakeholder involved, the teachers. With the virtual interface, face to face interaction will be moulded into chats, instant messaging and electronic mails. Lessons in cooperation, negotiation, body language, face expressions and voice intonations lose meaning. But then again the Gen-X is running on technology ever more than before. School authorities have gladly accepted this change. They want to inculcate the habit of technology among their students. This will also give them leverage over competitors. Due to such reasons, this interface has spread like wild fire. Portals such as Educomp Ltd. have attempted to bring the concept to every school. However, the real agenda is of the state. It has to make available such facilities and services to the lower strata of the society. Such interface can enrich such students with technological know-how which is a pre-requisite in today’s world. But for a nation lacking on infrastructure, it is essential for them to first create a learning environment and then aim for a virtual one. 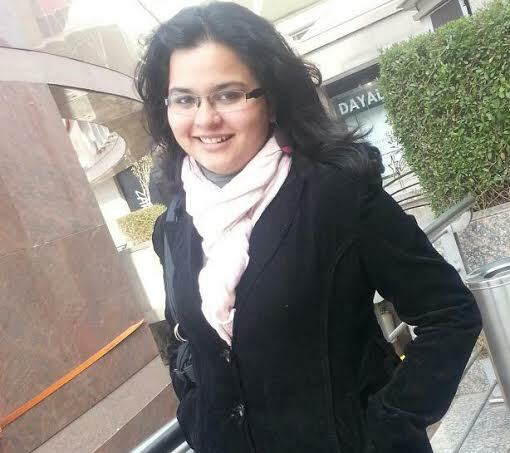 Gauri Singh is currently pursuing Bachelor of Business Economics course at Gargi College, University of Delhi. She holds a masters diploma in kathak dance from Pt. Birju Maharaj’s Kalashram. She is an active debater. She has won many debates and creative writing competitions across Delhi University.